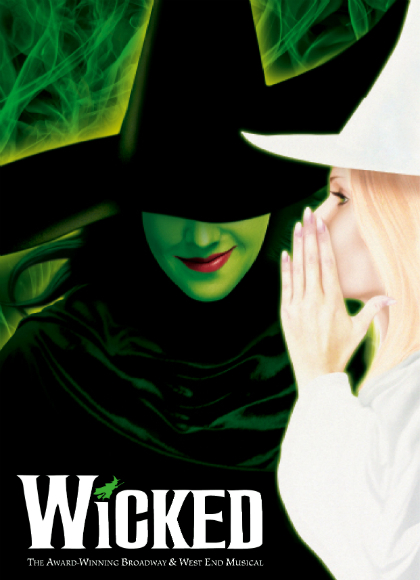 WICKED, the West End and Broadway musical phenomenon is delighted to announce the company for the forthcoming UK and international tour, to open at the Alhambra Theatre, Bradford on 20 July 2016. Jacqueline Hughes (Elphaba) starred in the UK & Ireland Tour of Wicked, playing the role of Elphaba on many occasions to great aclaim, and is currently appearing in the tour of Mary Poppins; Carly Anderson (Glinda) recently appeared in Sunset Boulevard at the London Coliseum and played the starring role of Kira in the London premiere of the musical Xanadu; Bradley Jaden (Fiyero) is currently starring as Enjolras in Les Misérables in the West End; popular Brookside star Steven Pinder returns to Wicked to play The Wizard and Doctor Dillamond; Kim Ismay, who has starred as Tanya in Mamma Mia! in the West End and on its International Tour, will play Madame Morrible; BAFTA® Cymru winner Iddon Jones will play Boq and Emily Shaw, who was in the original cast of Matilda, will play Nessarose. Jodie Steele, who has just completed a run in War of the Worlds in the West End, will be Standby for Elphaba. They will be joined by Kyle Anthony, Joe Atkinson, Sam Brown, Hannah Cadec, Joel Cooper, Nicholas Corre, James Davies-Williams, Natasha Ferguson, Elizabeth Futter, Zoe George, Amy Goodwin, Alex Jordan-Mills, Stuart MacIver, Tom Mather, Stacey McGuire, Sara Morley, Emily Olive Boyd, Wendy-Lee Purdy, Dean Read, Paul Saunders, Elisha Sherman, Joshua St Clair and Hannah Veerapen.